I live in a lovely village. It has one high school, two primary schools, several shops, a recreation ground, a doctor's surgery and lots of houses. There is virtually no crime and you see a policeman about as frequently as a total solar eclipse. Yet all of us who drive are treated like criminals. We are subjected to harsh treatment at the hands of spiteful little people every single time we leave our driveways and venture into the scary world of murder and shoplifting beyond the village boundary. It is impossible to drive from where I live to anywhere else without driving over at least three speed bumps. There are two types in the village and, perversely, all are situated on the whimsically named Hollybush Lane. The first is placed at a T-junction where a quiet residential street meets Hollybush Lane. It is built from bricks and has only a small elevation from the tarmac surrounding it. This type isn't quite so bad although the fact you go from tarmac to brick means a change in surface and a reduction in grip level just at the point you want the tyres to grip. This means most people slow down to around 0mph before making the turn. The second is the truly vicious type of bump. An angular lump with steep inclines and sharp creases. There is one in each lane which are just about wide enough that if you straddle them will not be quite so catastrophic on your spine as if you hit it full on. However these bumps slowly eat away at your car's suspension, pushing it every time you ride them so that one day it will collapse at 60mph on a really dangerous corner. This is the whole point of speed bumps - to mete out damage to car and self until one or the other concedes defeat. If cars are parked in the road the situation becomes a whole lot worse because then you cannot straddle the bumps unless you head right out onto the other side of the road and play chicken with oncoming traffic. Motorcyclists and cyclists suffer more than drivers. They normally ride around the bumps but when the weather is wet this is not always very sensible. If the traffic is busy a rider can quite easily find themselves unavoidably and rapidly approaching a bump. Panic braking will cause a crash so you hit the bump and, if you're male, the subsequent impact can mean the testes being pushed into the body. This is horribly painful and makes the eyes water, which isn't very safe. We have speed bumps because in the 1980s some dreadful people who couldn't be bothered working enjoyed stealing the cars of people who could be bothered working. In their snow washed denim jeans, white socks and and shiny bomber jackets they would break into Peugeot 205 GTIs and tear up and down the roads of our towns and villages whilst smoking Benson and Hedges cigarettes. This became such a popular pastime that the annual car insurance for people who could be bothered working rose to such ridiculously levels that everyone had to sell their XR3s and buy a Fiesta 1.1 Popular instead. Town councils got together with highways engineers and decided that the best way to slow down these 'joy riders' was to leave large lumps of tarmac in the road to slow them down. This didn't work because the driver of a stolen car doesn't care about wear and tear but the councillors, highways engineers and government in general realised that speed bumps perfectly aligned with their victimisation of the driver. Then as time progressed and the joy riders either died of heroin overdoses or got jobs as estate agents and bought their own Ford Cougars and Vauxhall Astras the need for speed bumps disappeared. Now in the 2010s people don't speed through villages and towns much anymore. There is no counter culture, the children of the baby boomers are conformists, they don't break the rules. Real police don't exist any more, they just operate ever more clever machines designed to catch the motorist out. 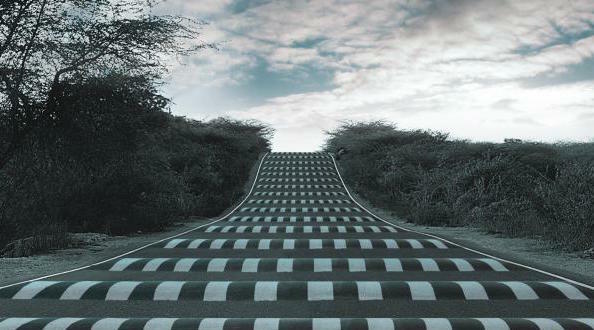 So we don't need speed bumps. Yet they still exist. Why? The reason for their being is no longer valid. Because, much as with cameras and tickets and red routes and single occupancy lanes and hatched zones and double yellow lines and bus lanes, those who think they are in charge of us do not like us to be truly free. Cars represent freedom, speed bumps represent control. Tear them all up I say.